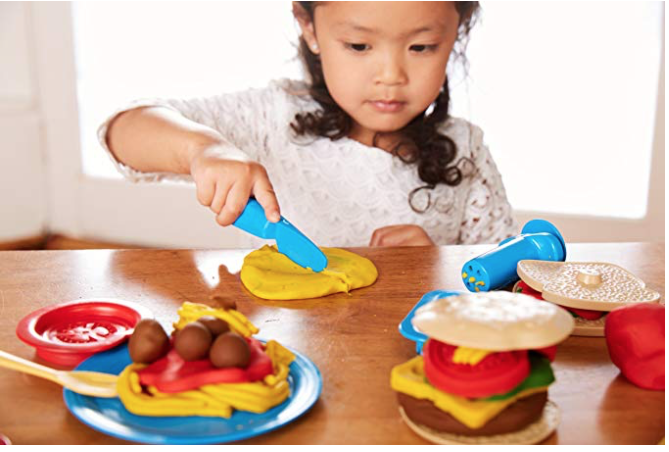 Swap out play doh with organic play dough with this hot Green Toys deal! Amazon has a big price cut on the 18 pc. Green Toys play dough activity set! This set normally sells for $24.99, but Amazon has it marked down to just $7.15! 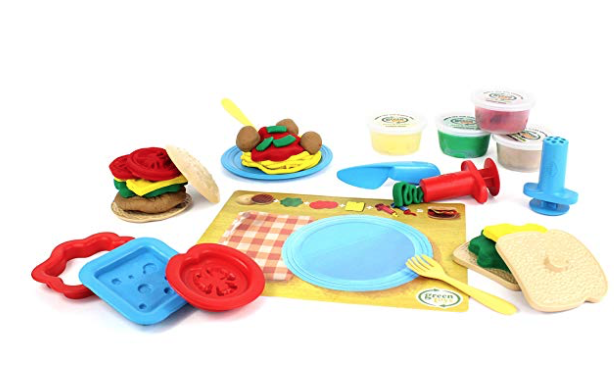 This Green Toys set includes 1 spaghetti extruder, 1 flat extruder, 1 knife, 1 cheese stamp, 1 tomato stamp, 1 sauce cutter, 2 bread pieces, 2 bun pieces, 1 dinner plate, 2 forks, 1 two-sided activity card, 4 dough tubs made with organic flour. These non-toxic toys are made with 100% recycled plastic and are BPA, phthalate and PVC-free. This is listed as an add-on item, but to avoid the $25 minimum order, you can just click “Choose your Amazon day” which just means it won’t be 2-day shipping. Grab a few of these for gifts as this is a hot price!